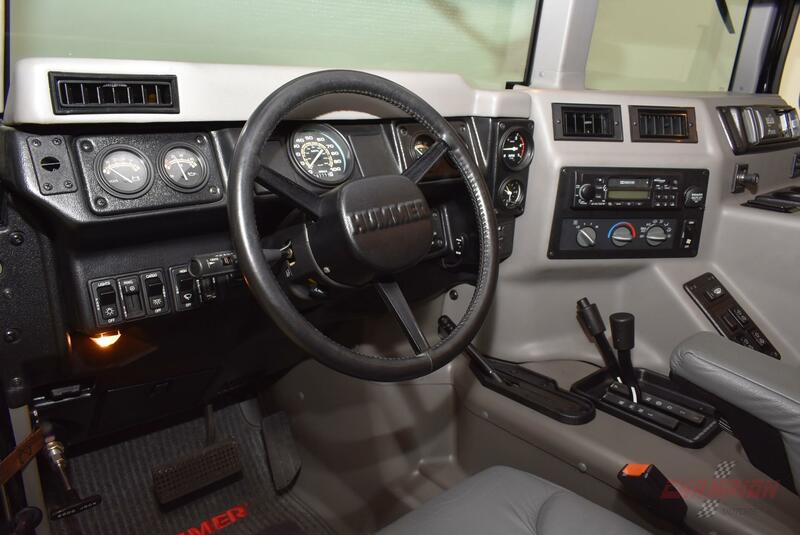 Drivers in New York and throughout the region who are looking for a rugged, dependable vehicle that stands apart from other typical trucks and SUVs on the road are understandably drawn to the HUMMER brand. Named after the well-known military vehicle known as the Humvee, or High Mobility Multipurpose Wheeled Vehicle, this brand specifically focused on producing civilian vehicles with a similar body style and utilitarian functionality. The three vehicles produced under this brand during its relatively short history are the H1, the H2 and the H3. The H1 is the vehicle that had the must utilitarian look and that closely mimicked the style of the military-grade Humvee. The four-wheel drive H1 was produced between 1992 and 2006. A variation of it is the H1 Alpha, which was produced for only a few years within this time period. 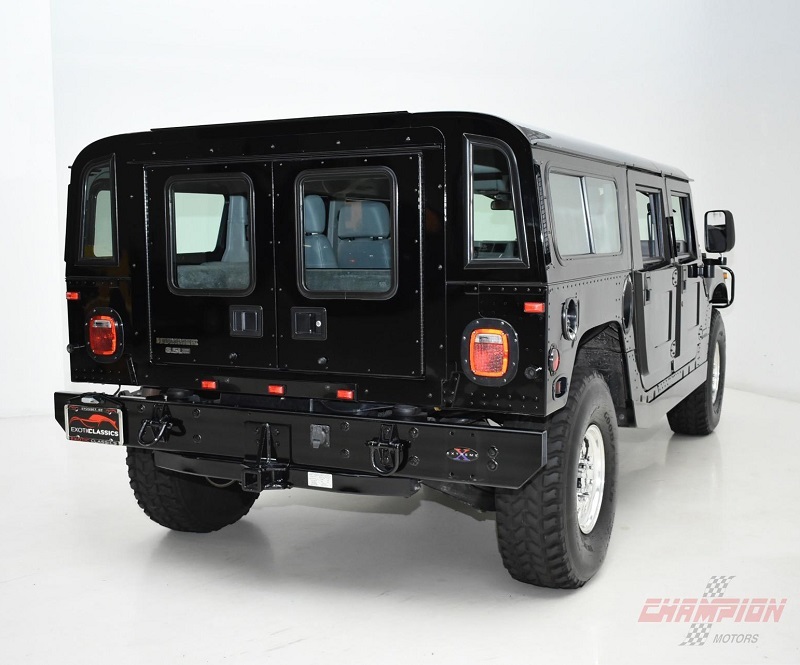 If you are eager to find a quality used HUMMER H1, a wonderful idea is to visit Champion Motors International serving New York New Jersey and United States shoppers soon. 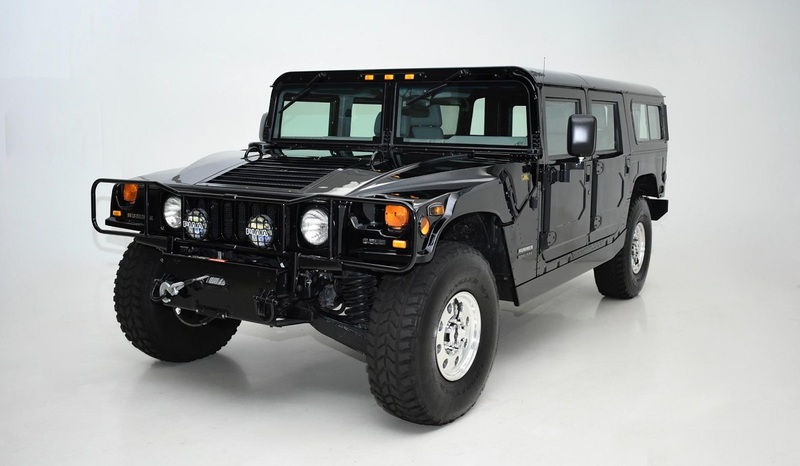 Before you explore the options for used HUMMER H1 sales in New York, you may be interested to learn more about this automakers history. The automaker that was responsible for bringing the military-grade Humvee to the armed forces beginning in 1985 had plans early on to also introduce a similar vehicle to the general public. 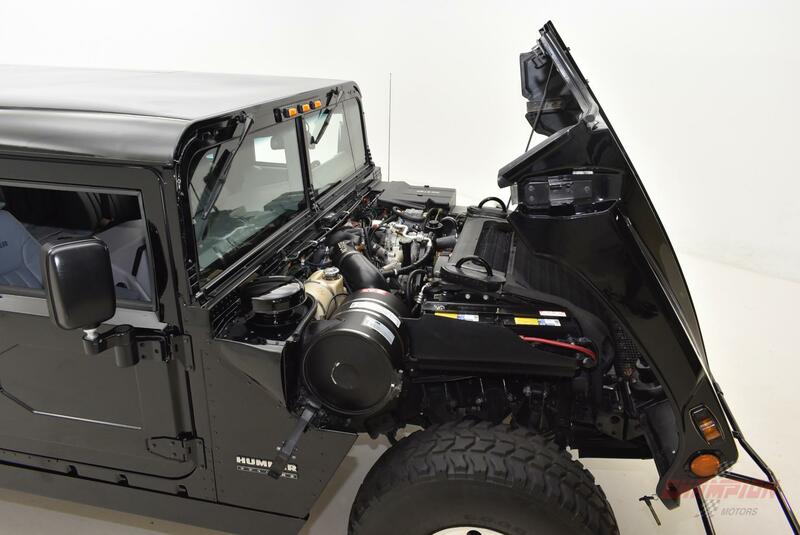 The automaker made minor changes between the military-grade Humvee and the H1 to make the vehicle more comfortable for the average driver to cruise around in. For example, it added a better sound system, climate control, a more refined interior and several other features. 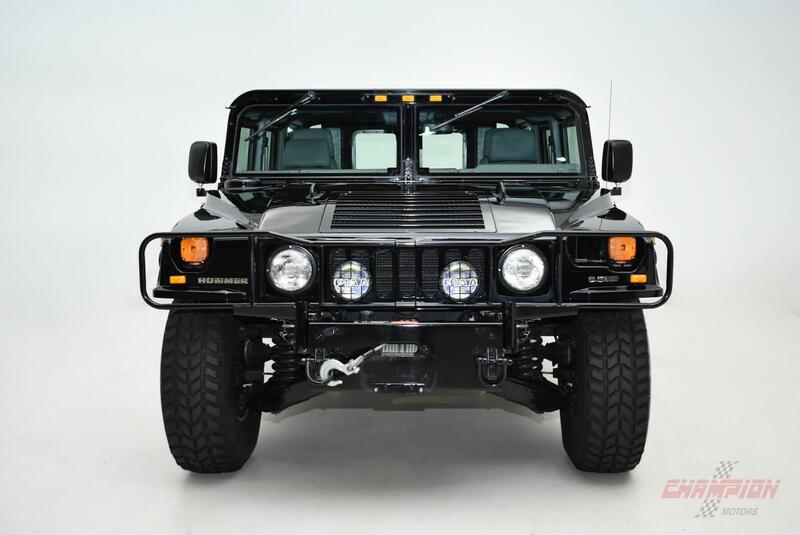 When you check out the used HUMMER H1 vehicles available for sale in New York today, you may notice that several engine options are available based on the model year that you select. Some of these engine options include a 6.2-liter GM diesel, a 6.5-liter GM diesel, a Vortec 5.7-liter V8 gas-powered option and others. The last engine available in 2006 was a 6.6-liter, V8 turbo Duramax engine. The primary reason why the automaker chose to discontinue this specific model in 2006 was because of a new emissions law related to diesel engine that was going into effect in 2007. The H2 and H3 models continued to be produced until the brand was discontinued in 2010. Before you buy any used truck or SUV, you understandably want to know what it offers and how the model is different from other options. Compared to used H2 and H3 models, the H1 has a lower profile and a very wide stance. The H1 looks very similar to the military-grade Humvee while the H2 and H3 have a more modern and civilian-inspired look. The H1 also has inboard brakes and specialized portal gears. The radiator and air intake are both located higher in the vehicle than in traditional vehicles. This gives them the ability to be used in many off-road situations. The H1 also comes with run-flat tires that have the additional benefit of either rubber inserts or a magnesium aluminum alloy for added strength. Between its power and its adventure-inspired engineering, this is a utility vehicle that is ideal for off-road fun. If you are interested in used HUMMER H1 sales in New York, visiting Champion Motors International serving New York New Jersey and United States soon is a wonderful idea. Altogether, fewer than 12,000 H1s were manufactured between 1992 and 2006. The largest production year was in 1995 when almost 1,500 H1 vehicles were produced. One of the most significant challenges that you may face when you search for used HUMMER H1 sales in New York is related to the limited options available on the market. Many auto shoppers may be eager to find a specific interior and exterior color combination, a specific engine and more. In addition, factors related to cost, mileage and overall condition come into the picture. While you may feel challenged to find the right H1 to purchase when you shop with other dealerships, you can see that our large inventory makes it easier for you to find the right H1 to take home. While the availability of the H1 is very limited, we understand that there are other dealerships throughout the region that offer these vehicles for sale as well. We strive to provide each of our customers with an excellent shopping experience regardless of the type of vehicle that you are interested in. We specialize in providing high-quality, pre-owned vehicles from reputable brands. Our sales team is committed to helping you locate an exceptional vehicle that is priced within your budget and that lives up to your expectations. You can expect a no-stress sales environment when you shop with us. Whether you have decided firmly that you are in the market for a pre-owned H1 or you are still exploring all of the options, we are ready to help. We invite you to browse through our huge inventory online as a first step, but remember that a great way to get to know more about our inventory is to stop by and view our vehicles in person. Champion Motors International serving New York New Jersey and United States is your source for quality pre-owned H1s and exotic vehicles.